During a recent visit to one of our MBR installations I realised that the local residents were checking our every move. 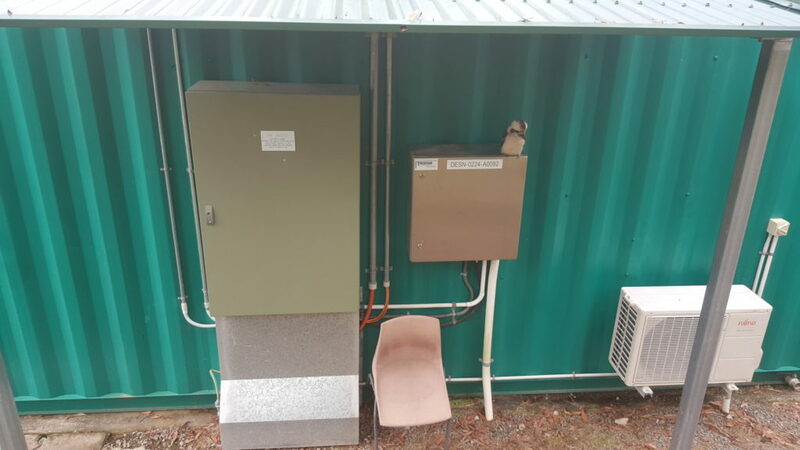 I guess they were pretty happy with the installation and operation of the MBR systems including the patio that provides shelter and protection for the local Kookabura population. and drastically reduce their carbon footprint. Presentation presented at Wasteminz by Chris Lobb from Envirowaste NZ comparing and contrasting the different options available to Environwaste for treating the landfill leachate and why Envirowaste selected VSEP from Syngineering Water as their preferred technology. Dairy products are enjoyed all over the world and are a diet staple for many people. With the growing demand for dairy products such as Greek yogurt, the handling of the increase in waste byproducts is a growing concern. Whey is a byproduct that cannot be discharged to surface water or land applied due to the COD and BOD that are an environmental hazard to agriculture and aquatic wildlife. Normal dairy production plant wastewater is in the range of 2000 to 3000mg/L BOD which is 10 times the strength of domestic sewage . The amount of whey produced from the original product can be 90%  for cheese and up to 75% for Greek yogurt. The current uses for whey are limited and alternative treatments are necessary. Provided you are not directly adjacent to a saltwater disposal point, RO brine disposal is problematic and expensive. Brine concentration in traditional reverse osmosis membrane systems is limited by the amount of silica in the feed water. VSEP’s vibratory oscillation prevents silica fouling, and thus VSEP is ultimately limited by osmotic pressure, not silica. Because of this unique capability, VSEP from Syngineering Water has become the market leader in non-thermal brine minimisation.